Drug manufacture is the act of knowingly participating in the manufacture or production of a prohibited drug. As well as participating in the production of the drug, drug manufacture can also include providing finance for the manufacture or production of drugs, or providing a premises.Manufacturing illegal drugs is an offence under Section 24 of the Drugs (Misuse and Trafficking) Act 1985. Drug manufacture doesn’t include observing the manufacturing process without participating, or transporting or acquiring chemicals or equipment. Drug manufacture comes with severe penalties, and if you want to plead not guilty you will need to ensure you present your case as clearly and strongly as possible. If you decide to plead not guilty, you will be required to present your evidence in court. It’s important to be aware that pleading not guilty and later being found to be guilty can get you a higher penalty in some cases than pleading guilty from the beginning. If you plead not guilty and are found guilty of manufacture of commercial quantities of drugs, you could end up facing a 10-year non-parole period. To successfully convict you of drug manufacture, the prosecution needs to be able to prove that you were manufacturing illegal drugs, you were the person manufacturing the drugs, and you did so knowingly. If you can cast reasonable doubt on any of those factors, you may be able to defend yourself successfully against drug manufacture charges. If the prosecution has a strong case against you, and you accept the charges, you may prefer to plead guilty. There are a number of advantages to pleading guilty from the beginning. Doing so can help you get a more lenient sentence, or a shorter non-parole period, if you are sentenced to prison. The penalties for drug manufacture charges vary widely depending on the type and quantity of drug produced. Penalties can also vary depending on whether the matter is dealt with in the local or district court. The minimum penalty for a small drug manufacture charge dealt with in the local court is a two-year prison sentence, and/or a $2,200 fine. 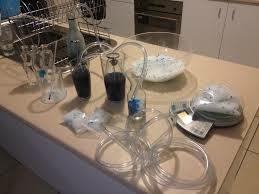 Penalties range up to life imprisonment and/or a $550,000 fine for the manufacture of commercial quantities of drugs. If you have been charged with drug manufacture, make sure you seek expert legal advice as soon as possible. Drug manufacture penalties can be serious, and having the best possible legal help can help you avoid a severe penalty. Being charged with drug manufacture can turn your world upside down, however with Sydney’s best drug lawyers on your side, you can fight to get the best possible result in your manufacture case. Our lawyers deal exclusively in drug law, so you can count on us to have the knowledge and skills to give you the best possible defence in your manufacturing case. In many cases, we’ve been able to have charges dropped by carefully scrutinising all the evidence to find problems with the prosecution case. Call us today on (02) 9264 5778 and get the drug law experts on your side.